Dynamic pressure relief mattresses are an excellent solution for those at high risk of pressure sores, but many systems lack the intutive use and portability that would make them ideal for most care environments. 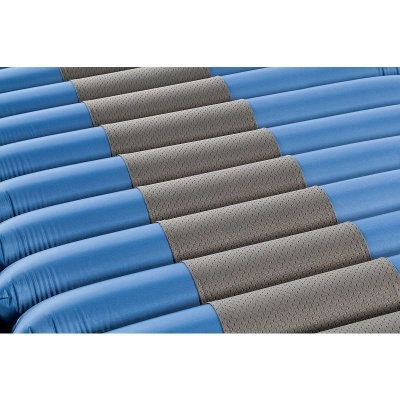 The Tamora II Analogue Alternating Pressure Relief Mattress Overlay is an alternating mattress overlay with a two-cell cycle, intuitive comfort control and transport mode for versatile and effective pressure relief. 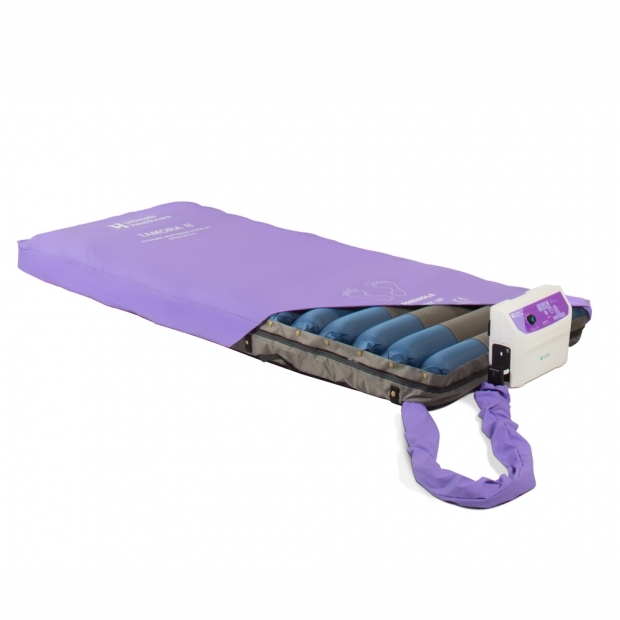 Designed for use on an existing mattress or divan bed, this dynamic system is suitable for patients at high risk of pressure sore development. 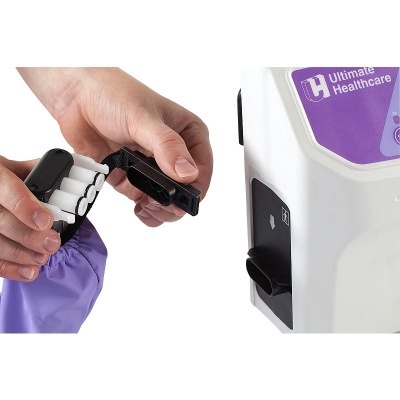 A two-cell cycle optimises dynamic pressure reduction to ensure maximum pressure relief is provided, and a comfort control dial allows nursing staff to adjust pressure to suit individual patient requirements. In addition to the 10 minute cycle time, the system offers variable cycle times with the choice of extended cycle periods of 15 to 20 minutes. Ideal for a dynamic care environment, this mattress includes an easily activated transport mode that allows the mattress to remain inflated for up to 48 hours without power. In addition to providing safety in case of a power failure, this mode makes it simple to transfer patients and their bed without compromise to pressure care. An Auto-Lockout feature prevents unintentional activation of the control panel ensuring that any setting changes are deliberate. Additionally, a timed static mode enables staff to carry out nursing procedures while ensuring that pressure relief will continue to be supplied afterwards automatically. 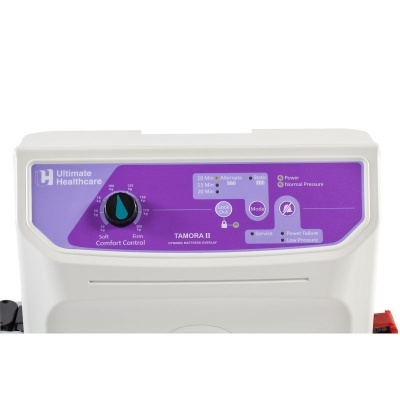 The Tamora II has been designed to ease the burden on nursing staff in the implementation of cleaning and decontamination procedures. 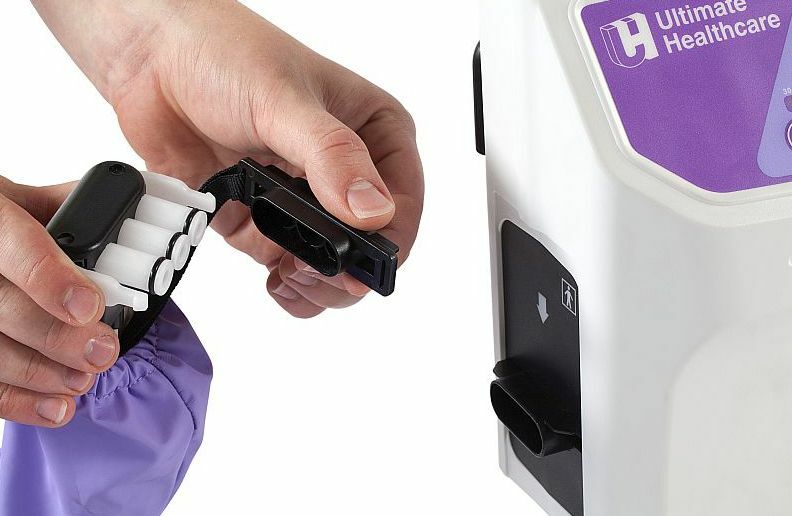 An easy-clean waterproof cover with welded seams, enclosed zipper and integral covered air pipe will assist hospital staff in reducing infection by preventing fluid ingress and contamination. 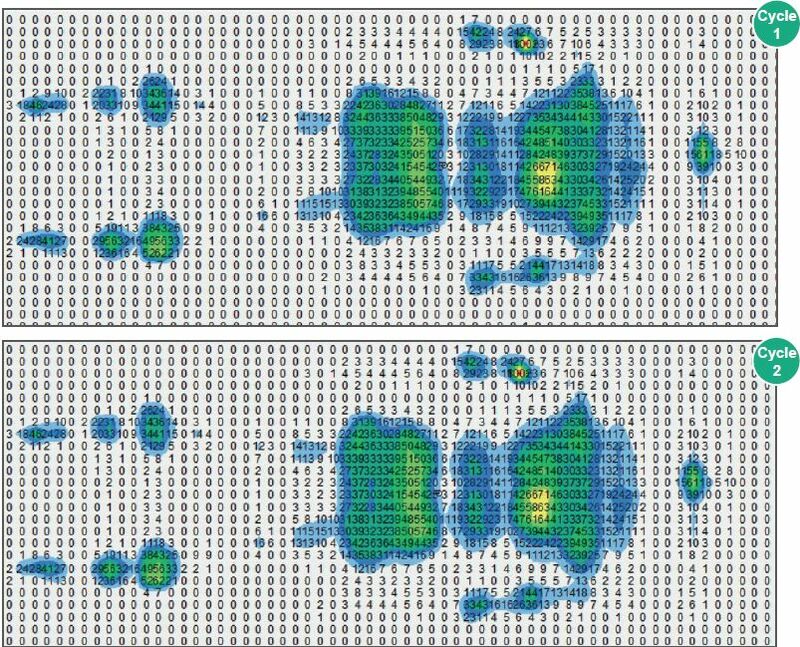 The graphic below shows the pressure distribution of the Tamora II Overlay when a patient is lying down. This particular patient is a 44 year old male with a height of 170cm, weighing 82kg.